Last season, about 60% of Punjab’s cotton crop was destroyed by a pest; thousands of farmers could not harvest a single boll of cotton. In the same season cotton farmers in central and southern India suffered devastation from another pest. The average Indian farmer is poor. He works on his little piece of land for several months just to ensure that he and his family are able to survive. When pests threaten to destroy his crops, he has no choice but to adopt extreme measures to save them. Our distressed farmer has nowhere to go but to the dealer/retailer, who, for obvious reasons, sells a host of chemicals. And these are dumped on the crop with faith, fear and hope. The situation is the same for every crop and for every farmer across the length and breadth of this nation. This desperation that the farmer finds himself in is the primary reason for the indiscriminate use of pesticides. And as a result we and our children end up consuming these chemicals. Please think. Who is responsible for this? Is it the farmer? Is it the retailer? Is it all of us who do not understand the plight of the farmer, who do not take responsibility, but just want safe food? 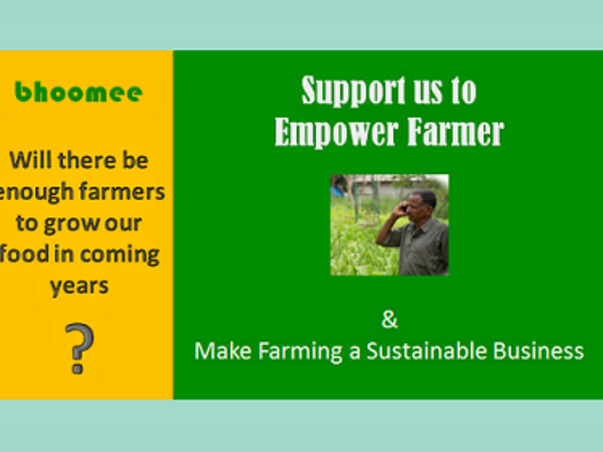 Bhoomee is building a rural workforce to serve as crop doctors! We call them as the DESEE Force (for Digitally Empowered Self-Employed Extension Force) in Agriculture. The DESEE Force is trained and certified by the Agricultural Universities to help farmers in crop health management, who could diagnose and prescribe the most appropriate solution to the pest problem! How we wish that our farmer would get accurate prescriptions that would minimize crop loss while not compromising on human health and environmental safety. Prescription-based crop health management has been recognised as the way forward by institutions – from global ones like FAO to small local organizations working to support farmers in rural India. This is very similar to the way human health is managed. The DESEE Force program has already kick started in several parts of Karnataka. Trained and certified DESEE Force is creating awareness programs in the rural areas and demonstrating the processes to the farmers. Farmers will be able to call for their services at any time and obtain the right prescriptions. The knowledge institutions have come forward to own the agricultural knowledge disseminated by the DESEE Force. 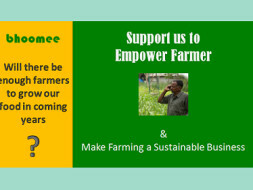 Through the DESEE Force, Bhoomee is creating an amazing employment opportunity for educated individuals, especially youth, in their own villages, allowing them a respectable and comfortable life providing crop health support services to farmers. We invite you to join us, to take responsibility for the food we eat, for the water we drink. For the future of our children and our planet.